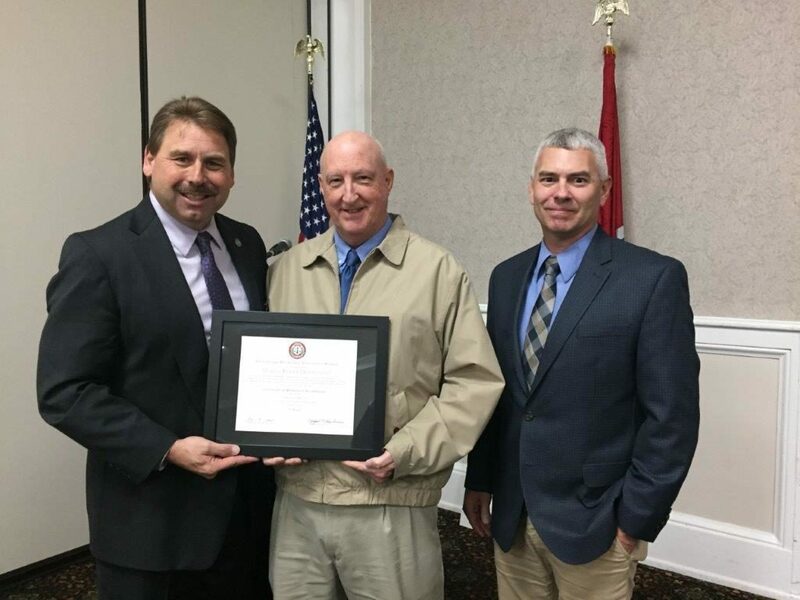 Nashville, TN- The Tennessee Law Enforcement Accreditation (TLEA) Program is pleased to announce that it has granted reaccreditation status to the Martin Police Department. They were awarded this achievement during the Tennessee Association of Chiefs of Police (TACP) meeting held in Nashville, TN on December 1st, 2016. To achieve accreditation with TLEA, an agency voluntarily submits to a three year process of enhancing the agency’s professionalism and effectiveness utilizing 160 law enforcement standards and participating in a thorough on-site assessment. The standards evaluate an agency’s policies which address a variety of areas including organizational, operational and budget management practices. The program is intended to encourage cooperation, recognize professional standing, develop professional services and ensure public safety throughout the State of Tennessee. The TLEA program is a valuable and cost effective way to enhance overall agency effectiveness and professionalism. Martin Police Department successfully accomplished its second award of TLEA accreditation by meeting criteria that measured the professionalism, organizational, and overall readiness in law enforcement policy and procedures. “The standard of excellence that is met through this process is to be admired. We are proud to recognize the hard work of the Martin Police Department, its staff and community leaders,” stated TACP President Jeff Hughes. “The level of dedication to service and commitment to excellence by all of the men and women of this agency in achieving this accreditation is matched only by the service and dedication provided daily to the Martin community. We will continue to meet and exceed these standards and those of our community as we move forward.” stated Don Teal, Martin Chief of Police. 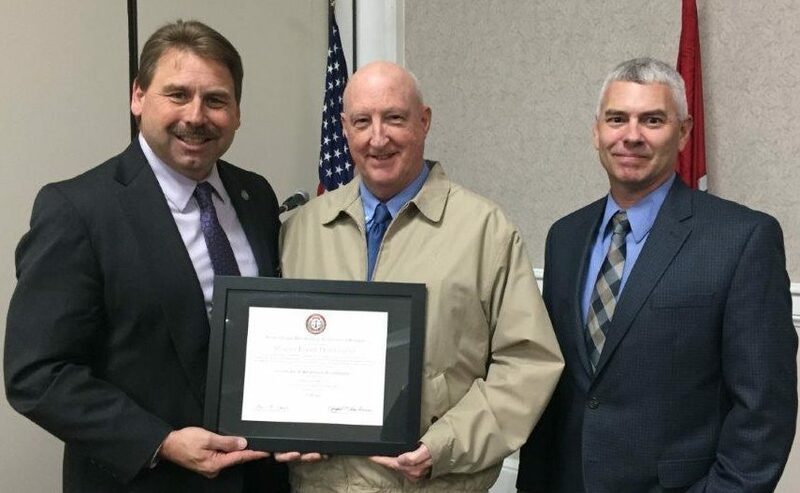 The Tennessee Law Enforcement Accreditation Program is a voluntary program that recognizes the excellence and professional achievement in law enforcement agencies across the State of Tennessee. The program began in 2010 through the hard work and efforts of the Tennessee Association of Chiefs of Police. There are currently 65 agencies involved in the state accreditation program, 80% of them have less than 50 sworn officers in their departments. To date, 42 agencies have achieved accreditation in the program with 18 agencies receiving second awards and 3 agencies receiving third awards. It takes commitment, dedication, and hard work from the agency head, agency personnel and community leaders to meet the standards prescribed by the program. The time commitment involves up to a three-year process. *Pictured left to right is TACP President Jeff Hughes, MPD Chief Don Teal and MPD Accreditation Manager/Captain Phillip Fuqua.